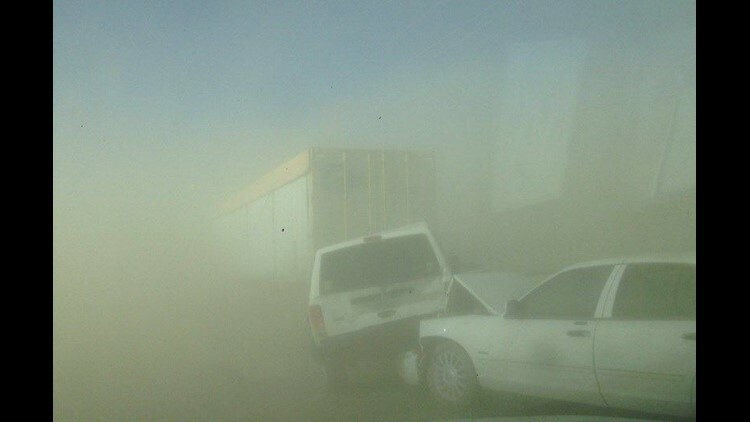 A dust storm in the Southern California desert has caused a massive highway pileup that left 28 people with minor injuries. LUCERNE VALLEY, Calif. (AP) — A dust storm in the Southern California desert has caused a massive highway pileup that left 28 people with minor injuries. The San Bernardino County Sheriff's Department says only three of the people had to be taken to an emergency room for treatment.